sugar or powdered jaggery as required. rinse the papaya. peel and chop the papaya. remove the seeds etc. 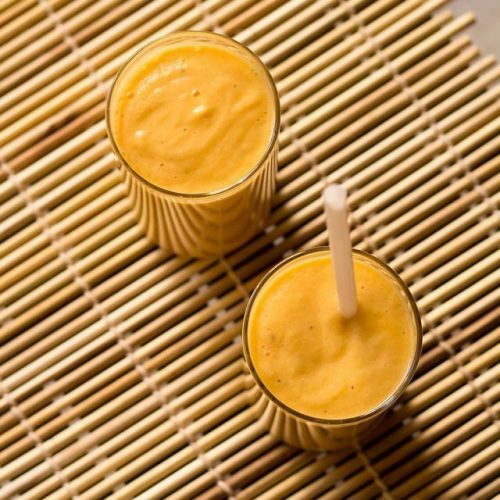 in a blender first blend the papaya, sugar and the powdered cardamom. then add the yogurt, ice cubes and blend again till smooth. pour the lassi in tall glasses and serve papaya lassi.